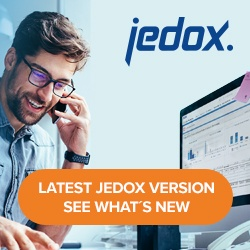 Jedox introduces powerful new analytics functions for future-focused data, statistical forecasting, and real-time scoring. By integrating the powerful R statistic tools, Jedox allows sophisticated, high-performance data analysis across highly volatile and rapidly changing data. This addition provides a whole new class of analytic applications within Jedox. For example, detailed predictive analysis to recognize chances (e.g. click-stream analyses for customer assessment) and minimize risks (e.g. quality assurance). R provides methods and custom data including statistical test methods, time-series and cluster analyses, text mining, and linear or nonlinear modeling. New, high-quality libraries are frequently added by domain experts to expand its capabilities. With an active community of over two million users, tutorials and sample code are readily available. Jedox combines analytical and classic BI/Performance Management functions in a consistent, unified and intuitive environment. On any template, you can use “predict” to calculate values from linear regression with one command. Calculate your sales forecast for the coming year(s) across products, regions, and months, among other dimensions. With the “predict” command, Jedox creates the desired linear regression and projects this forecast in real-time. Jedox software integrates R in Jedox Integrator server to provide a comprehensive library of analytic functions to predict trends and detect patterns in your data. Whatever your industry, R gives you the edge. It is used for credit-risk analysis in financial institutions, recommendation engines for online services, statistical demand planning in retail, economic activity analysis, multi-channel advertising efficacy, investment analysis, weather and housing-price forecasting, time-series modeling, and geospatial analysis. With RScript Transform, your Jedox Integrator manages and controls the data so you can interact with powerful statistical forecasting easily through Excel, Web, and Mobile. By combining R with the Jedox real-time rules-engine and write-back, and copying new scenario versions in seconds, you have powerful modeling and statistical analysis that users can interact with through intuitive visualizations.